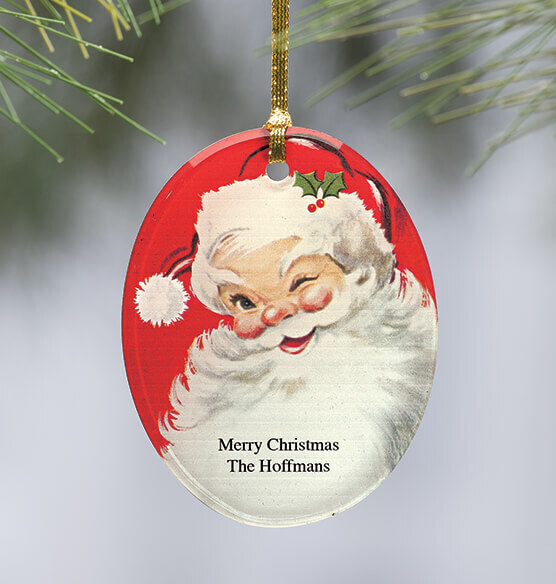 You can’t help but wink back at this lighthearted Christmas ornament. 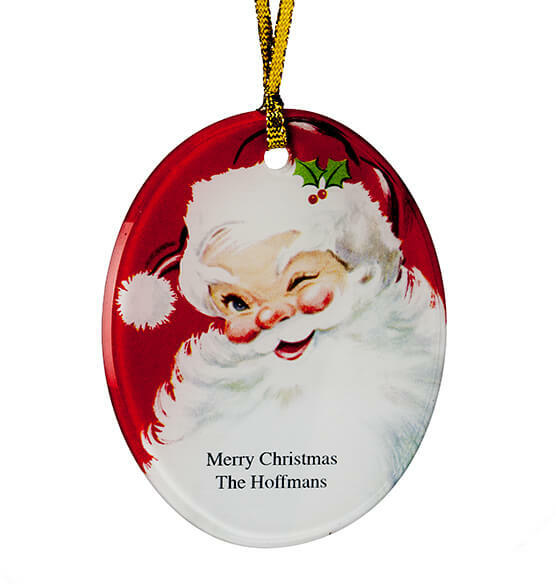 Inspired by retro depictions of Santa, this smooth glass ornament reminds kids—and kids at heart—that the man in the red suit is full of Christmas joy. Add a personalized message to convey your cheerful Christmas wishes. Comes with a gold cord for hanging.